UPDATED: Mon., May 21, 2018, 2:03 p.m.
WASHINGTON – A divided Supreme Court ruled Monday that businesses can prohibit their workers from banding together in disputes over pay and conditions in the workplace, a decision that affects an estimated 25 million non-unionized employees. With the court’s five conservative members in the majority, the justices held that individual employees can be forced to use arbitration, not the courts, to air complaints about wages and overtime. Four dissenting liberal justices said the decision will hit low-wage, vulnerable workers especially hard. While the complaints in Monday’s decision involved pay issues, the outcome also might extend to workplace discrimination and other disputes if employee contracts specify that they must be dealt with in one-on-one arbitration. Workers who want to take action against sexual harassment, pay discrimination, pregnancy discrimination and racial discrimination “may now be forced behind closed doors into an individual, costly – and often secret – arbitration process,” said Fatima Goss Graves, president and CEO of the National Women’s Law Center. Lawyers representing management said the decision protects businesses from endless, costly litigation. The outcome does not affect people represented by labor unions, but an estimated 25 million employees work under contracts that prohibit collective action by employees who want to raise claims about some aspect of their employment. 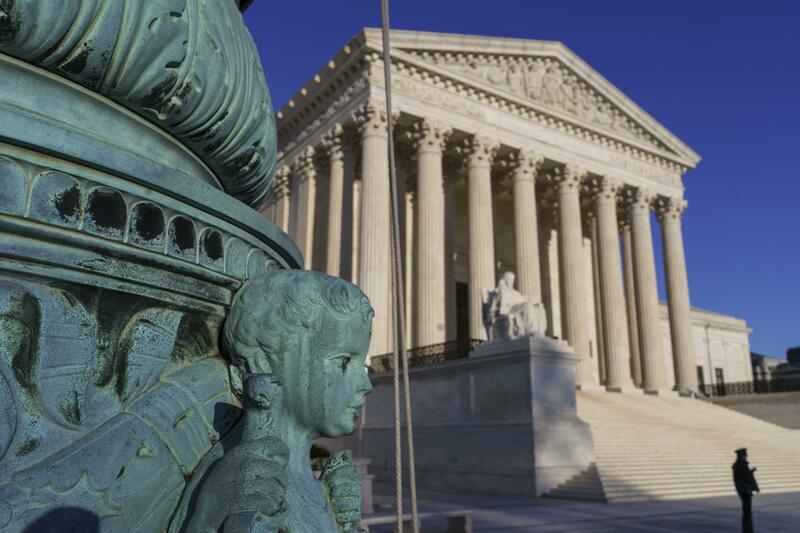 The ruling reflected a years-long pattern at the Supreme Court of limiting class actions and favoring employer-favored arbitration over lawsuits in the courts, generally preferred by workers. The Trump administration backed the businesses, reversing the position the Obama administration took in favor of employees. The court’s task was to reconcile federal laws that seemed to point in different directions. On the one hand, New Deal labor laws explicitly give workers the right to band together. On the other, the older Federal Arbitration Act encourages the use of arbitration, instead of the courts. Justice Neil Gorsuch, writing for the majority, said the contracts are valid under the arbitration law. “As a matter of policy these questions are surely debatable. But as a matter of law the answer is clear,” Gorsuch wrote. Monday’s ruling is in line with earlier decisions, he said. “In many cases over many years, this court has heard and rejected efforts to conjure conflicts between the Arbitration Act and other federal statutes. In fact, this court has rejected every such effort to date (save one temporary exception since overruled),” Gorsuch wrote. She said “congressional action is urgently in order,” echoing her call in 2007 for Congress to address pay discrimination following a high court ruling from which she dissented. Kristen Clarke, president of the Lawyers’ Committee for Civil Rights Under Law, said she fears the decision will have far-reaching effects. “Today’s decision will make it easier for employers to escape liability for widespread discrimination and harassment. No American should be forced to sign away their right to invoke the meaningful protections afforded by our nation’s critical civil rights laws,” Clarke said. The National Labor Relations Board, breaking with the administration, argued that contracts requiring employees to waive their right to collective action violate the labor laws. Business interests were united in favor of the contracts. Gregory Jacob, a former high-ranking Labor Department official in the Bush administration, said the court got it right Monday. “This decision thus will not see a huge increase in the use of such provisions, but it does protect employers’ settled expectations and avoids placing our nation’s job providers under the threat of additional burdensome litigation drain,” Jacob said. Lower courts had split over the issue. The high court considered three cases – two in which appeals courts ruled that such agreements can’t be enforced and a third in which an appeals court said they are valid. Published: May 21, 2018, 7:54 a.m. Updated: May 21, 2018, 2:03 p.m.